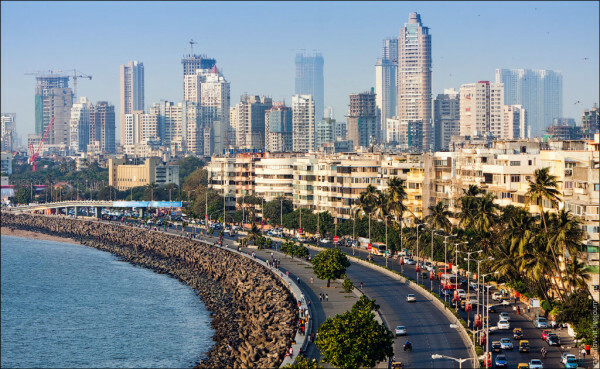 Mumbai, India (formerly Bombay) is one of the largest cities in the world, with a population of 20 million. It’s the largest city in India and its wealthiest. It is crowded, dense, noisy, hot, and polluted. Not a runner’s haven. But it is possible to find some good spots and get a flavor of the city. 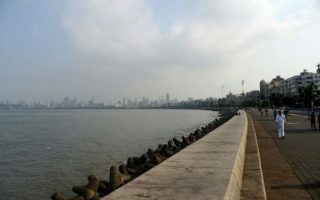 There are two major sections of Mumbai: Mumbai City District (South Mumbai), where the majority of businesses are concentrated around Nariman Point; and Mumbai Suburban District, which is where Navi Mumbai, Powai, and other suburbs are located. Running in Mumbai is a bit of a different scene. You can’t just expect to walk out your hotel or office door and run on a random road – as most roads are very crowded, traffic-ey, and lack a proper sidewalk or shoulder. So one has to actually plan on going to a particular running spot. 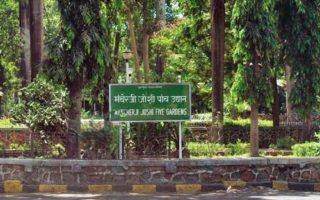 Fortunately, there is a series of ‘jogers parks’, which are small pedestrian green spaces interspersed throughout the city with 1-2 km jogging tracks. Some require a modest admission and are open set hours. 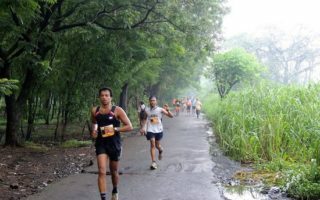 We’ve organized the Mumbai running guide by area. See the overview section, which has a list of running spots by area and by type (Joger Park, track, road). 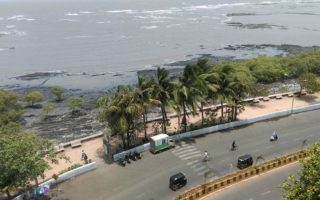 Some of South Mumbai’s running highlights are, in South Mumbai: Marine Drive, and Versova/Juhu Beach, along the water; World Sea Face; and the unique Mahalaxmi Race Course. 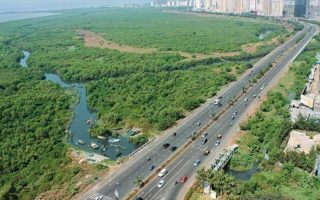 In Navi Mumbai: Palm Beach Rd., Rajiv Gandhi Jogers Park, Vashi; and the Five Gardens area. 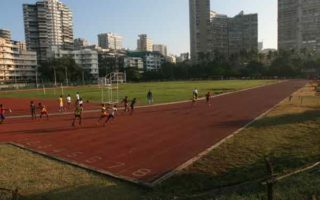 There are also some good running spots in Powai, north of the city and near the Sanjay Gandhi National Park. Note: Be sure to ask your hotel about the safety of certain areas; be prepared for the heat; and know which areas to run early before the traffic (car and otherwise) kicks in. Quick overview of running in Mumbai, organized by area and by type of run. 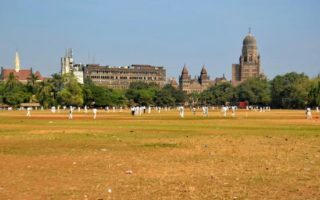 More than 15 of the best spots in Mumbai -- on the water, best roads, tracks, and parks & gardens. One of the best spots for continuous road running in Mumbai. 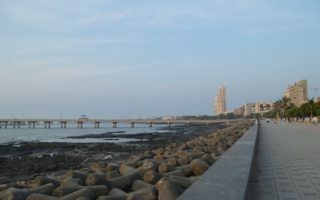 It's just over 4 km from Wilson College to Nariman point, on a path along the beach with views to the Arabian Sea and the Mumbai skyline. At 27 acres, the largest park in Mumbai. Situated on the Arabian Sea and a popular spot for cricket. For running, there's a 1.3 km path around the perimeter. Can be combined with surrounding (posh) residential area and beach. One of the more unique running experience. Run around the ~2km horse racing track. Good mud surface. Open to runners from 5am-9am and 4pm-8pm. No admission charge. A decent road running option, near the Four Seasons and the Nehru Science Center/Art Gallery. It's about 3km along the road. 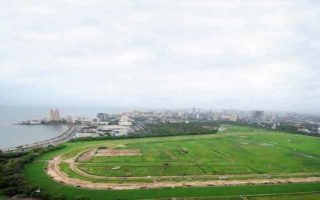 Can be combined with the Mahalaxmi Race Course, a 2km horse track open to runners. An oasis for running in South Mumbai. The 20 acre park is on the sea, featuring a 400-meter synthetic Olympic Track, 500-meter dirt track, and an artificial beach. Other sports facilities as well. Green and well maintained. Series of five small gardens and a pleasant residential running area just to the south. One can put together a 3-4 km run in the area. Good running options in the Juhu area, near the airport. 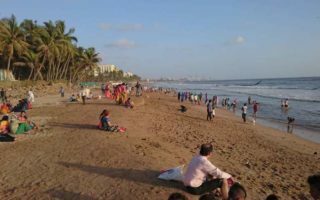 Versova and Juhu beaches are good for running, with width and packed sand. 'Joggers Park', is a green oasis nearby. Near good hotels. One of the best spots for running in Navi Mumbai. 2.5 km path around a pond in a dedicated park. Quite pretty and isolated from traffic. There's a bridge connecting to a mini seashore. A decent stretch for running in Navi Mumbai. Busy road running along the coast, with some shoulder in some sections. A 1.6 km stretch is closed to vehicles Sunday morning. 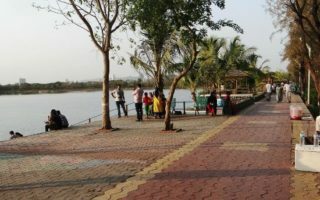 Also a nice 2.7 km loop around Nerul Lake. This northern suburb of Mumbai has some of the area's better developed roads. 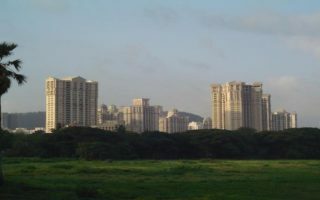 We've put together a lovely run including a tour of the Hiranandani Garden, 1.4 km promenade along Lake Powai, and a jaunt down to Forest Park. 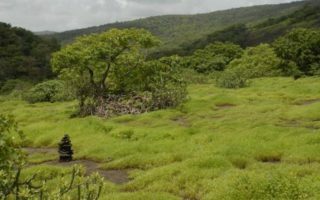 Large national park just north of Mumbai. There are several nature trails that make for good trail running. Other activities in the park include boating, a safari, and hiking. Mumbai has two types of weather. Hot and hotter. And wet or dry. Temperatures soar to 90F (32C) almost daily, and rarely dip below 70F (21C) at night. Summer days are rainy and more humid, with the monsoon rains, and are often cloudy. Nights are hotter. Winter months are hot and dry. Muddy surfaces can be a factor during rainy season.